As its annual Build development conference gets underway, Microsoft is announcing that it has shuffled and revamped the way it handles its startup support activities. A number of disparate programs have been tied together under a single, unified division within the company, called Microsoft Ventures. 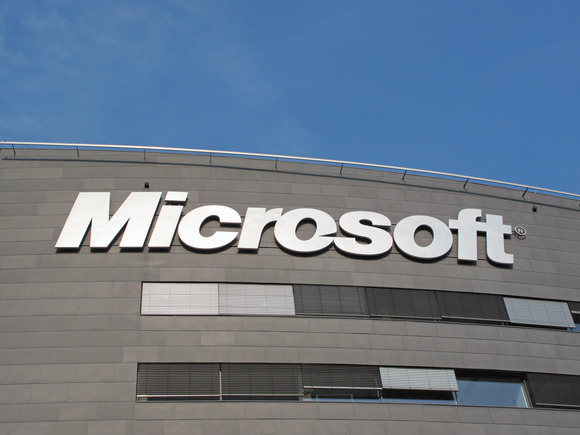 Tech veteran Rahul Sood, who joined Microsoft in 2010 from Hewlett-Packard, announced the launch in a blog post that outlines the numerous changes the company is making to the way it supports entrepreneurs. He calls the new unified division "a coordinated global effort that offers the tools, resources, expertise and routes to market by providing mentorship, technology guidance, seed funding, joint selling opportunities and other benefits." Whew! The three pillars of Redmond. What's changing? The updates focus on three major areas. First is the long-running BizSpark program, which was established in 2008 and is now being folded into Microsoft Ventures. BizSpark provides free access to Microsoft software design and development products, as well as training services, for a period of three years to relevant startups and other partners. To date, 45,000 companies have taken advantage of the offer. 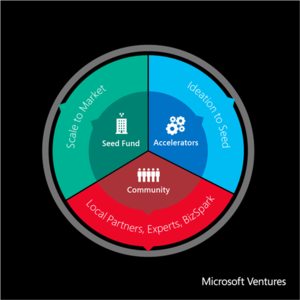 Under Microsoft Ventures, this program isn't significantly changing, but it will be now managed by Ventures directly. Next, the new Microsoft Ventures Accelerators is an expansion of the company's current international accelerator program, bringing locations in Germany, Russia, and Brazil into the fold. This "immersive" program, which lasts for up to six months, is available to full-time tech startups that have less than $1 million in total capital raised. Those selected into the program get mentoring from Microsoft, tech development and design help, and various tools and resources to help them get underway. 114 companies to date have graduated from the accelerator program, and, per Sood, nearly all have received funding subsequently. The new announcement brings the total number of accelerator offices worldwide to eight. Lastly it comes down to cold, hard cash. Less than a year ago, Microsoft launched the Bing Fund as a way to provide early-stage venture capital to very new companies, offering (for Microsoft, anyway) chump change in the amount of $50,000 to $100,000 to the startups it took an interest in. Bing Fund recipients also got access to design and development aid and could even take office space on the Microsoft campus. Now the Bing Fund is getting an upgrade (and the name itself has been retired). It's unclear how much additional money is being funneled into the VC program, or if a formal cap has even been set. (The Bing Fund, according to its CrunchBase profile, invested in only about a half dozen startups in its first year of operation), but The Next Web reports that Sood might be looking for slightly more mature companies to receive investments going forward. This expansion of its startup-focused efforts is a smart move for Microsoft and a solid lead for tech startups seeking financing. The company notes that recipients need not be focused on Microsoft or its technologies, though it's clear that incorporating something out of Redmond into your business plan won't hurt your chances of being selected. Find out more at microsoftventures.com.